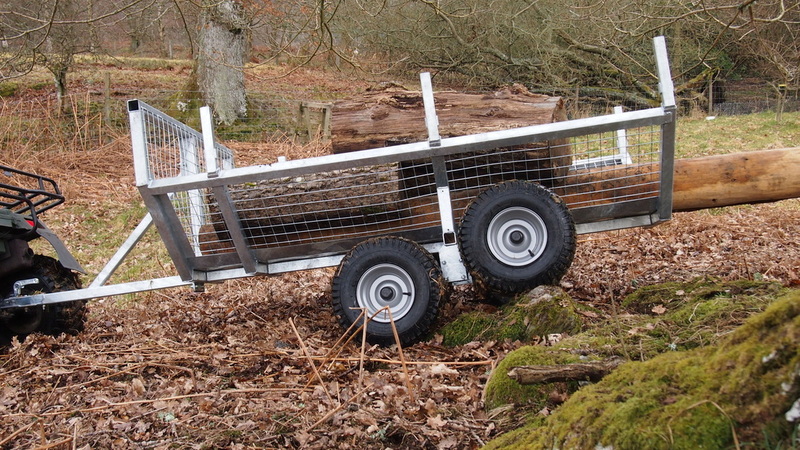 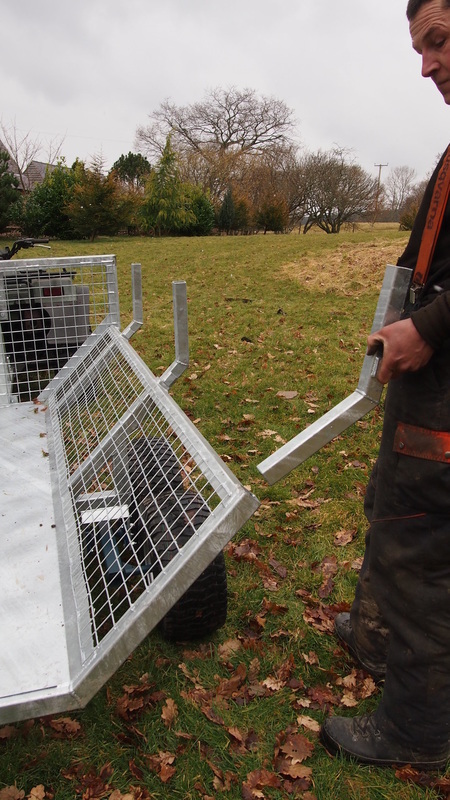 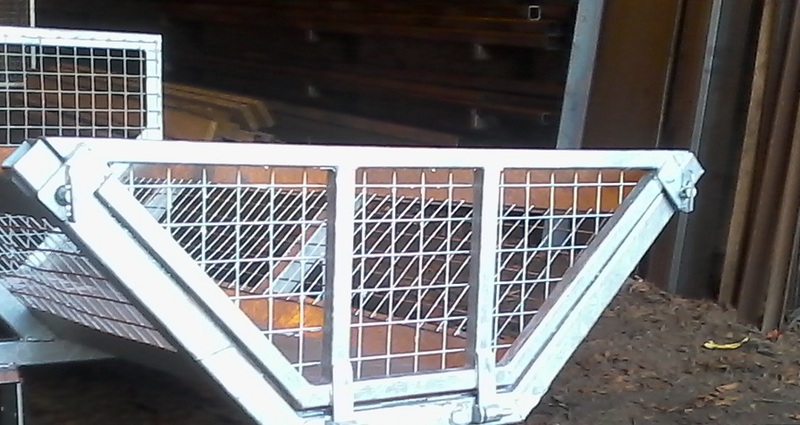 The whole assembly is Hot Dip Galvanised which is the perfect long lasting finish for working in the woods. 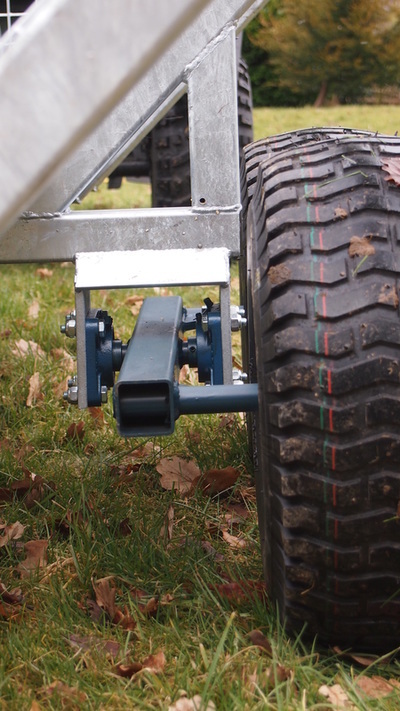 We have re-designed the swinging axle assembly to offer more articulation and more robust, maintenance free bearings. 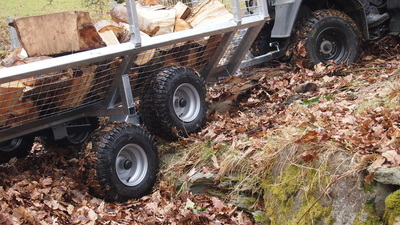 Our bearings are sealed units which will give you long lasting trouble free service. 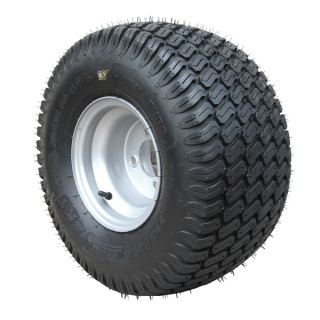 They are far superior to bushes and pins. 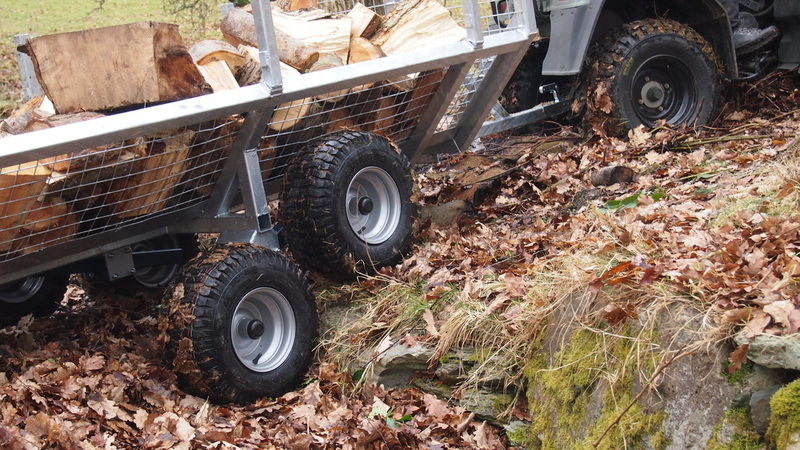 We have stuck with our tried and tested flotation tyres. 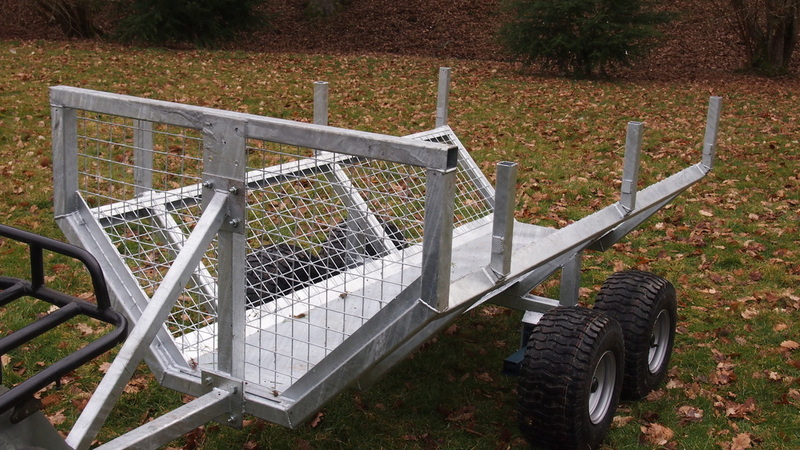 This setup travels very lightly indeed which is ideal for those working on sensitive sites. We have completely redesigned our timber bolster system. 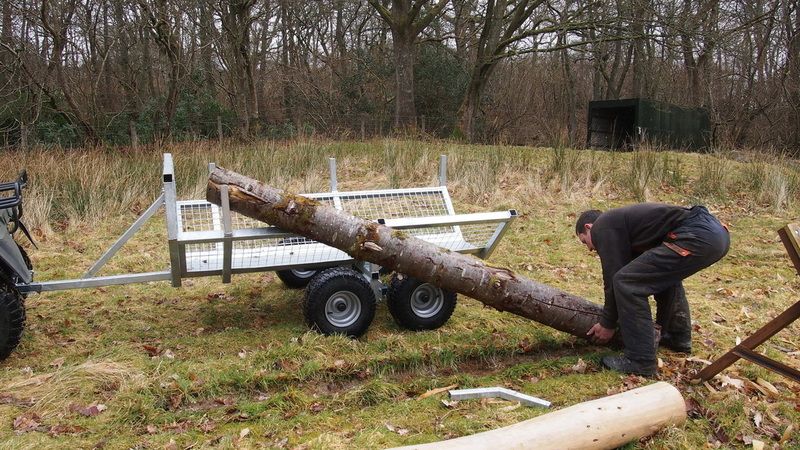 The bolsters have a wide and narrow position. 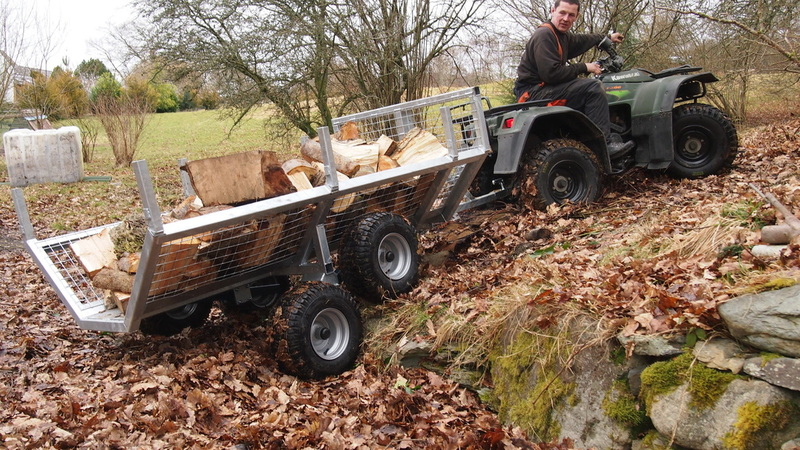 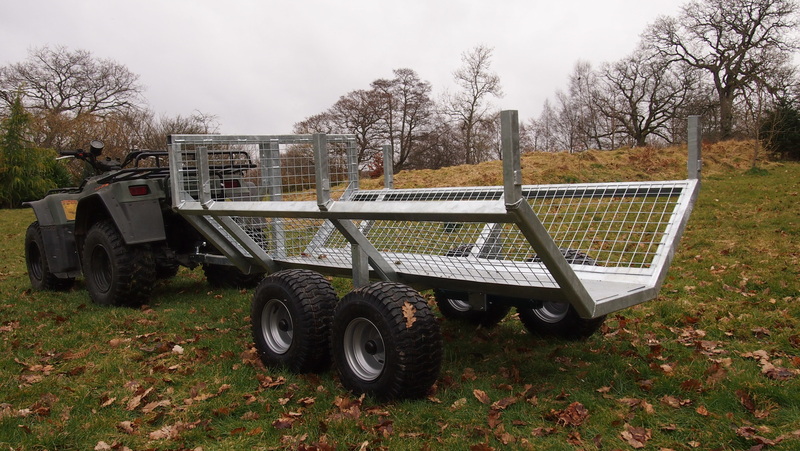 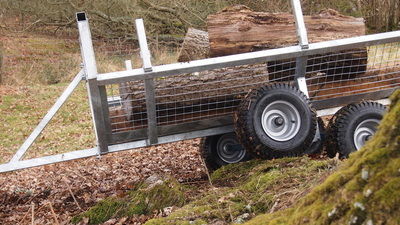 The narrow position is the same width as the headboard and tyres which is ideal for narrow access sites. 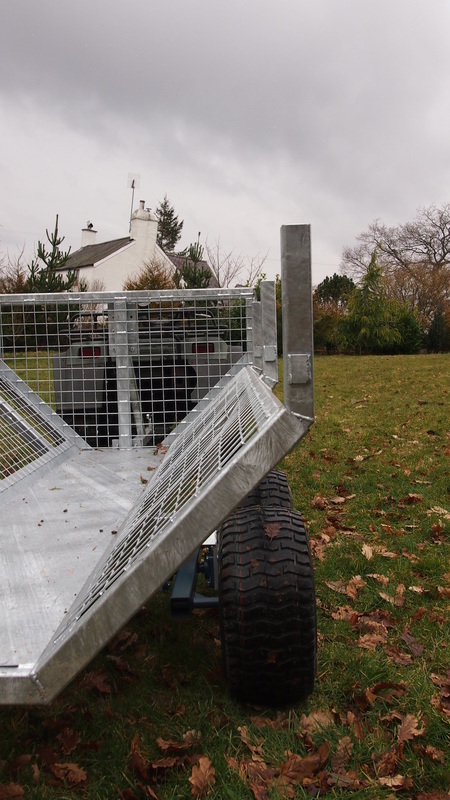 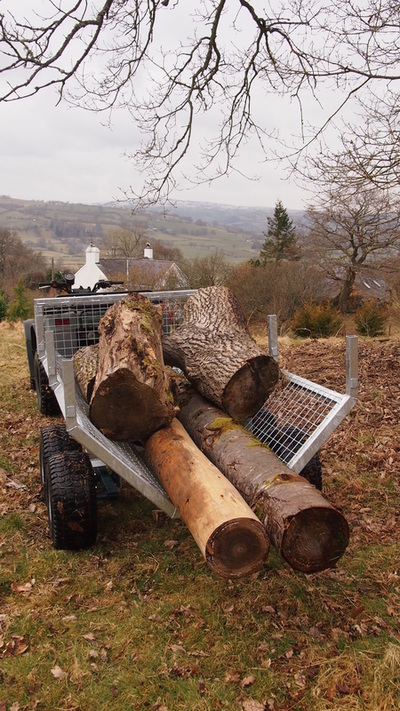 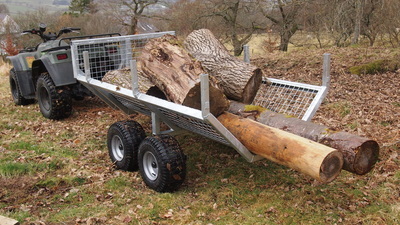 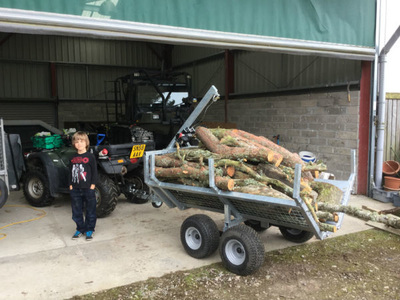 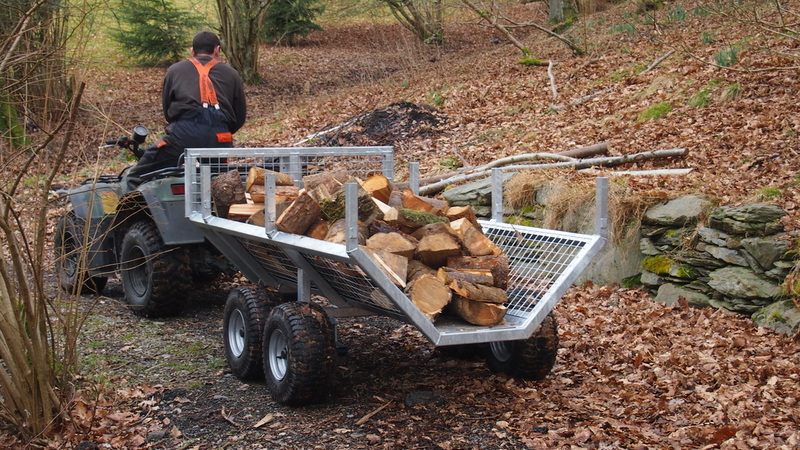 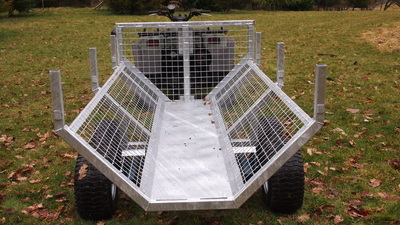 The wide position adds 12cm of width and 8cm of height to the trailer. 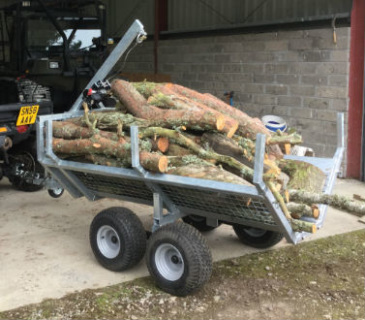 This doesnt sound much, but it makes a big difference in capacity - ideal if you are moving brash or small thinnings. Just a quick note to say I’m absolutely chuffed to bits with the trailer. 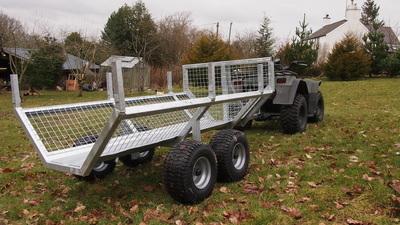 We’ve only had it a day and it’s already saved me at least a man-day in reduced handling and transportation time. It has done about 10 miles across a very precious piece of landscape at the Lake District National Park Visitor Centre and there is no evidence that it has ever been there, despite having been well loaded each time it made the trip.